Orit Ramler Szulik brings a wealth of professional experience to her activities as a coach, trainer, and consultant. 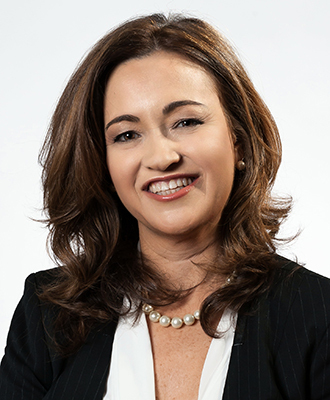 A seasoned executive, entrepreneur, manager, educator and fundraiser in both business and the not-for-profit sector, Orit is also a trained Learning Specialist and Certified Coach. This background informs and enriches her coaching in many ways, making her a true catalyst for authentic and meaningful change. Born in Israel, Orit has lived in seven different countries from the Middle East to Latin America to the United States, where she currently resides. A true “citizen of the world,’ Orit has a unique understanding of human behavior, globalization, and how it is within our differences that we find common ground. Fluent in Spanish, English and Hebrew, Orit knows there are many levels of understanding. As with a foreign language, we can understand the literal meaning of words, but we gain deeper insight when we learn the cultural context of words and phrases. Orit held leadership positions in educational and Leadership Development Institutions. Her entrepreneurial and sales experience includes founding and running a leading Educational Toy Company. Orit founded Make it a Good One® Coaching and Consulting in response to her life philosophy that we can always change outcomes – but the only way to do it is to change our internal narrative, the story we tell ourselves. It is a domino effect: if we change how we see things, then we change how we react to what we see. We don’t have much control over events and circumstances that are external to us, but we do have tremendous power to change the way we observe them and understand them. No matter what, we can always make it a good one by being accountable and taking ownership and action in our daily lives. She also joined Deborah Grayson Riegel’s team at MyJewishCoach in 2013 and in addition, Orit was invited to be a coach at the Larsen Group in 2016, and today she adds to her success being the Co-founder and Principal Coach at Your People Your Solution bringing an innovative coaching approach to the workplace. Orit maintains an active coaching and consulting practice working with clients in a wide variety of industries and organizations. In her daily practice Orit is committed to entrepreneurs and professionals who are jump-starting their career or those already in the field who want to be successful at what they do. She partners with her clients to set clear goals, craft strategies and take action by empowering them to maximize their potential and gain a sense of fulfillment.